I’ve only gone and done it! I’ve completed week one of the plan and I have followed it 100%. I’m so proud of myself and I’m feeling really empowered! I know I’m going to do this. The food has been fantastic and some really massive portions. There were some meals that I struggled to finish. 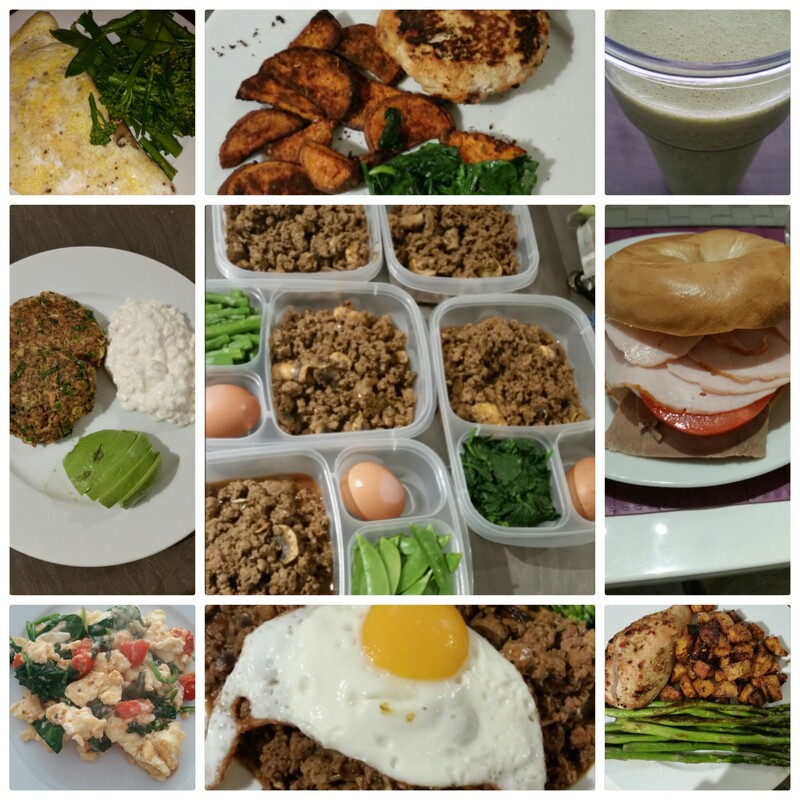 Here are some of the meals that I’ve had. All of them were pretty tasty but I have to be honest – I starting to get sick of the amount of avocado! Exercise has been the most difficult thing about the plan. Or at least it was at the beginning! I’ve increased my stamina so much in just a couple of days. I still have some pretty bad shoulder and back pain but I’m planning on seeing the chiropractor and I also hope that the exercise will help strengthen my weaker areas. The exercise itself is HIIT training. Basically you do an amount of time of high intensity exercise and then rest and repeat. I’ve been doing 30 seconds of exercise and 45 seconds rest. I do this for 20 rounds which works out to 25 minutes. The first day I couldn’t get near finishing it, but the by the 3rd and 4th day I was able to complete it fully! I’m supposed to do 4 -5 days of exercise a week. Due to my fitness levels, I’ve started on 4 days a week. I’m planning on cranking that up to 5 days a week for week 3 and onwards. So, yeah, that’s me! I’ll be keeping my blog updated throughout this journey. It’s an important one and I think it would be good to document it so that I can look back on it. I have so many plans for this year so I’m looking forward to blogging all of it! Keep an eye on my instagram @shyidolxo where I’m posting picture everyday of what I’m eating and my progress! Wow! Congratulations, keep it up!